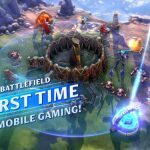 Developed by Joy Crit, United Front is the latest addition to a huge selection of strategy MMOs currently available for both Android and iOS devices. 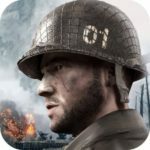 Within a few weeks after its global launch, United Front has firmly secured a good spot among the top 100 free games in more than 5 countries. 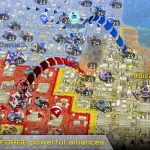 Though there are many popular modern war-themed free strategy games out there, it’s a surprise how United Front has taken in a lot of players quickly. As it is, United Front mostly contains everything else you can experience in similar games that follow base-building, army training, and resource generation and farming objectives. There are PvE and PvP battles as well but perhaps what sets it apart from the rest revolves around the relative ease to get stronger fast and to even obtain powerful units as rewards from various in-game events and quests. There’s hardly any monotony as various activities may even require more time than you can afford to a lot on a daily basis. As the game mechanics are averagely simple and with the smart quest suggestions ever-present from day one, even players totally new to the game and genre will have relative ease keeping up and staying at par with everyone else. If you’re looking for a war strategy MMO to play with a group of friends, United Front is an excellent game to test your combat wits and progression strategies on. As a commander of your very own base and military force, United Front sets you off on a continuous goal to obtain greater power. There are various resources to produce and farm which are perpetually necessary for you to continuously construct and upgrade buildings, train combat units, and perform researches. There are campaign battles for you to progress through to earn some rewards as well as experience points. As you reach new levels, more buildings, upgrades, and even new game modes become available. While PvP is at the core of every MMO strategy game, it takes a lot of time, patience, and preparation before you would want to engage in a battle with other players. Your commander won’t just be a figurehead in the game as each level brings about several upgrade options that can further promote uniqueness of your strategy depending on your preferences and play style. As you ceaselessly develop your base and army to keep up with the ever-increasing challenges ahead, strategic planning and tactics grow deeper as you seek out and join a Legion to further bolster your strength. United Front sets you in with a quick and relatively easy tutorial to comprehend and follow. Every new building, unit, game mode, or game mechanic that becomes available will give you an easy guide to follow as you try it out. You can also find information icons everywhere to read and learn more about each building or game mode. Most of the challenges in the game initially banks on your overall power and the initial stages in the campaign as well as most PvE activities will be a test of it. It’s not that difficult to raise your power as there are constant sources where you can gain power, even just little by little. The real challenges will appear once you are ready to engage other players in PvP battles. More so, when it involves large numbers of players as legions wage war against another. 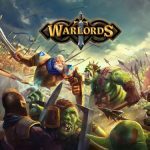 Individual and team strategies become a lot more important as you engage in more activities to defend your base and legion as well as develop tactics to plunder resources from opposing legions. For relatively new players, perhaps the more challenging feat especially at the start of the game dwells on prioritization considering the number of activities you can readily engage in. If you’re somewhat troubled when determining what to prioritize in the game or perhaps on a quest to find the most efficient means of raising your base and army’s power, then our United Front beginner’s guide can help you on your way to become a formidable commander and win most battles. On top of being a regular part of quests to accomplish, campaign battles in United Front provide a good amount of experience points as well as valuable resources to further boost your base and army’s growth and development. As an occasional reward, you will receive important materials to boost your commander’s skills as well which ultimately results in having a higher power. Each battle you engage in consumes energy, but most especially on the first few hours of gameplay, you will earn more than enough than you can probably spend. You will most likely breeze through each stage of the first area, but sooner or later it will be a lot more challenging as far as power requirements are concerned. If you do encounter stages you cannot beat with a 3-star rating, and at the same time have more than enough energy to spare, feel free to replay previously conquered stages for some experience points. As every battle only consumes 1 energy, you may have to raid some stages you previously completed with a 3-star rating to earn experience points even quicker. There will be areas with sub-nodes that offer more difficulty but provide much better rewards, if you can’t secure a perfect victory, move forward instead with the main campaign stages and just go back for the sub-stages later on. Remember to also claim the treasure chests you can earn from each are based on the number of stars you have earned. While you may have an initial inkling that the “strategy” part in games like United Front apply to actual battles and how you choose how to mold your army, strategy can actually be applied to a lot of other aspects in the game and how you manage production forms part of the most basic base-building strategy. For one, be sure that you are doing the most you can at all times. You can build or upgrade two buildings at a time, so make sure that both queues are active and working. Remember as well that once the countdown towards completion goes lower than 3 minutes, you can instantly finish the construction or upgrade instantly for free. You will also have 4 distinct structures for producing the basic combat units you will use in battle. You have a Tank Factory, Commando Camp, Helicopter Factory, and Missile Factory. Each one can also have 2 queues lodged for easier management. Once you unlock and build your Research Center, You can perform researches to improve the power of your army and boost the efficiency of your structures. BE sure to lodge researches in queues as well. Lastly, your Carrier HQ, which houses your warships can dispatch your ships along with your troops to gather additional resources as needed or attack pirates to complete missions and earn additional rewards. You should also keep your ships as active as you can. To avoid confusion and ease base management, simply take note of the 4 icons on the left side of your screen indicating activities for the above structures you should regularly keep an eye on. These icons make it a lot easier to identify which ones are idle and require your attention. On a side note, you will also see along these icons if your base is still immune from attacks. As such this is most likely the spot on the screen you should spend more time looking at. One of the things you will be accustomed to early in the game is to more or less adhere to the quest being projected on the screen as you follow each and every objective you see there and claim rewards from there as well. There is nothing wrong with that method though as you will still make progress most especially on the first day or two. The only downside of this method occurs when the quest is asking you to build something and you may have to wait a while before it finishes pending your other activities and rewards. To avoid this scenario, simply click on the Quest Tab at the bottom of the screen instead and browse through the long list to select an objective you can accomplish faster or easier. All of the quest objectives you will see are simple activities that you normally do as you play United Front. There are naturally some objectives that require a bit more progress to accomplish but just the same, you will certainly be able to go through each of these quests in time. Once you are in the Quest Menu, be sure to check on each tab for some additional objectives you may be able to accomplish as well as some rewards for you to claim. There will be an indicator on the Quest Icon whenever you have unclaimed rewards so be sure to check it regularly. As a staple feature in every MMO game, guilds, alliances, or legions all pertain to the teamwork element that makes online multiplayer games more dynamic than games without ones. United Front has a legion system that makes it extremely important for every player to join one as soon as they can. It’s not a question of whether or not you should find and join one but rather, which from the many active legions to apply and be a part of. You can apply to be a member of a legion in United Front very early in the game and once it becomes available, be sure to start applying for one. There are no solid indicators to determine a legion’s level of activity but finding one with fewer open slots may be a good indicator. The legion’s overall level of power counts too but if members have already grown inactive, then they won’t be much help to you and the rest of the new members. As United Front is launched in several countries, be sure to join one that speaks a language you understand. It is a known necessity to make donations to your legion to ensure its steady and sustainable growth and development. As such, be sure to always visit the Legion Tech and choose whichever resource you can donate without putting you at risk of running out of it as well. Participate and expend all 5 attempts at the Legion Battle every day as well. There will be rewards for you and rest of your friends in the legion depending on how many stages you defeat here. With every contribution you make, you grow closer to being able to purchase some really valuable items and resources from the Legion Shop so be sure to chip in as much as you can. One of the most useful perks you get as a member of an active enough legion is the production speed up you can receive from each member whenever there are construction or research queues in your base. You can ask for help and every legion member who taps to help will reduce the completion time of your production. Likewise be sure to help fellow members as well whenever you see the help icon at the bottom right of your screen. Reducing queuing time this ways will speed up your progress a lot so make it a habit to ask for assistance from your legion every time you build, upgrade, or research something. It is an important part of any strategy to work closely together with other players in the legion and as soon as your attack immunity shield wears off, it is best to relocate to where the legion leader is situated. This is a must for every member, and hopefully, most of your team mates will get the memo. For offensive strategies, it will be a lot easier to lodge a cooperative attack on an enemy base by launching one with your legion. From a defensive stance, legion members can support anyone from the team whenever an opponent launches an attack against them. Since you won’t always be online as well, it is better to leave your base knowing that your team mates can watch over it while you are away. Likewise, be sure to also provide support to your legion whenever someone targets their base for an attack. Beyond PvP battles, pirate hunts and resource farming can also be initiated with a group. You can send an invite to fellow members of your legion for these activities or you can also join in on their activities. You can access this through the Legion Rally Icon on the lower right side of your screen. As your troops will be vulnerable whenever you send them out of your base, it is best to proceed more wisely by choosing to partake in rallies instead of exploring all on your own. Be sure to take note of the distance you need to travel to get to the necessary rally points as some may be too far and be a waste of time. Beyond the loads of rewards you gain with pretty much any activity you engage in while playing United Front, there are several events that further provide you with additional resources, experience points, and special troops. BE sure to always check the Events Icon at the top right of your screen as there will almost always be rewards to claim especially on your first few hours in the game. Be sure to check the Benefits Tab as it house a lot of simple tasks for you to reach or complete to earn special rewards. You may have to also scroll a bit to see each item and check what the goal you need to achieve to claim more rewards. Under the Events Icon, you will also find the Lottery where you can spend free attempts to acquire powerful units. You can spend gold coins for extra attempts but then you should rather spend that on other important items. Whenever you can, invest gold coins on the Wheel of Fortune Icon as it will certainly net you more gold coins. Just under your avatar, you will see a small city icon that you may hardly notice on your initial hours of gameplay. Tapping the icon will show you the required levels of structures in your base camp for you to activate a prosperity buff. Although you will constantly be upgrading your buildings, you can use the requirements here as a rough guide of which ones to prioritize first. As your structures continue to level up, so too will your prosperity level. Whenever an enemy player successfully attacks you and plunders your resources, it will result in a reduction of prosperity. Although you will gradually recover it, you can speed it up by spending crystals or gold coins. Be sure always keep watch of your prosperity level as bringing it down to less than 20% will result in penalties for your production and troop efficiency. Your inventory holds a plethora of items that have a variety of uses for you to check out. As you may constantly be busy multitasking and scouting the surrounding waters outside of your base camp, you may forget to check some items in your bag that are best used sooner than later. There will be various rewards you will earn that come in the form of chests and can randomly provide some useful units which may give you an edge on certain battles. Likewise, be sure to also read through the description of some buffs as you may utilize them best on days when you will be spending a little more time on the game. Read through some item descriptions as well to give you a good idea of what each can do. It may happen that you never knew you had a piece of consumable that would have been very useful at some point in your game. As the PvP element of United Front stands at the core of its gameplay, you may be enticed to test your military might and strategic prowess towards attacking bases around you a little earlier than you should. For one, be sure to already be in an active enough and very supportive legion before you even begin planning on launching any attacks. There are a lot of preparations you need to do first before you can be certain you are ready to take on other bases. As you will have an immunity shield at the start of your game, be sure to the make the most out of it. This will be the best period to focus entirely on developing your home base and strengthening your army. As the shields go down prior to you being fully ready to engage in such skirmishes, you should already earn several items to replenish your shields. Don’t hesitate to use it when you need more time to prepare or when you are about to be attacked by another player whom you are certain can defeat you in battle. Be sure to avoid performing actions that target other players, even scouting, as these actions will automatically remove your immunity shield. The closer you are to getting ready for battle, the more time it is you should spend scouting the nearby seas for threats and targets. Hopefully, at this point in time you have already relocated close to where your fellow legion members are. If not, feel free to initiate an activity towards organizing a mass relocation. For this and similar strategies, don’t hesitate to communicate with your legion via the chat. When targeting, or at least planning to target another player’s base you should go for those that don’t belong to any legions first, for practice purposes. Keep in mind that going after a player’s base, if that player belongs to a legion, may initiate an all-out legion war. If that is what you prefer anyway, then at least be certain that your legion is more powerful and more active than theirs. As a defensive measure, upgrade your warehouses as much as you can to safe keep your valuable resources. As you can never have too much of any basic resource, you want to ensure that all you have in stock can be protected by your warehouse in the event that you are attacked by other players. On top of losing some excess resources that have been plundered by the attacking player as a result of not having a big enough warehouse, its impact on your base camp’s prosperity level may be a little expensive to recover from. Lastly, always scout before actually launching an attack. It’s never a good idea to underestimate any opponent, even if it seems evident that they are weaker than you are. By scouting, what you really need to do is go beyond the scout action to see the details of the base you wish to attack. It should also be coupled by a careful review of the surrounding areas, most especially if the base you plan on attacking belongs to a legion and you would want to know how far or close that player’s comrades are. Every battle can result in some unit damages and this seems to happen more when your army is pitted against another player’s army. Make sure to keep watch of the Unit Icon at the bottom of your screen as it will have an indicator when units are damaged and need repairs. You may want to stock up on a lot of crystals before you head out for PvP battles, as crystals will be essential in repairing your damaged units and you will be doing a lot of constant repairs as soon as you start attacking player bases. That sums up everything we have for our United Front beginner’s guide. With all the tips and strategies we shared to you as straightforwardly as we could, we hope you were able to pick up the important points and even the general concepts you need to understand to perform much better in the game. If you were able to read through and understand the lot of it, we are confident that you can progress a lot faster than most players in the game. Like many MMO strategy games, though, time and effort will also be a huge factor in determining how good you will fare in the game. Always being online may not be required, but constant sign-ins to check on your base and legion will definitely help a lot. If you would like to share more tips and strategies for United Front that we have not mentioned in this guide, we will appreciate hearing from you about it so don’t hesitate to leave us some feedback on the comment section below!